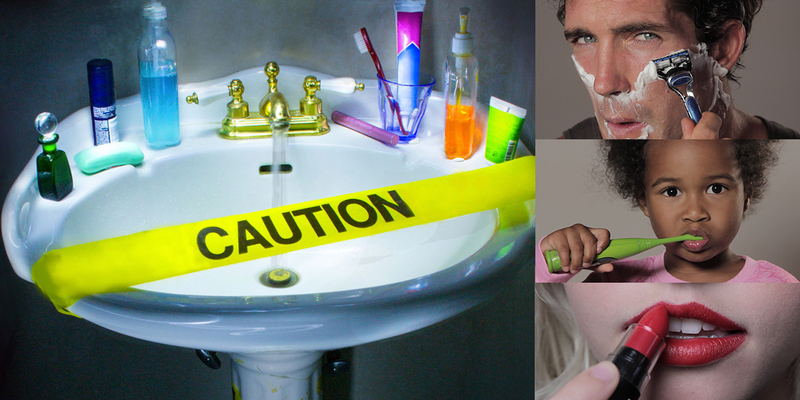 The average person is exposed to over 200 chemicals a day, just from their cosmetics and personal care products (like shampoo, deodorant, toothpaste, etc.) Our skin is our largest organ and what we put on it can get absorbed into our bloodstream and accumulate in the body. Scientists have linked some chemicals in personal care products to serious health effects including cancer, infertility, birth defects, allergies, asthma and more. This issue affects everyone regardless of age, race, gender, ethnicity, socioeconomic status, and even our environment. There are carcinogens, hormone disruptors and other toxic chemicals in many of our personal care products that are banned in Europe and still allowed in the United States. If you already know this and are using safe products, that’s great! However, millions of people are unaware of this extremely important issue. The good news is we can change this! THE COVERUP will inspire consumers to use their purchasing power, motivate companies to reformulate, and encourage our government to protect the public. We have filmed all across the country interviewing many of the leading experts in the fields of toxicology, green chemistry, environmental health and public policy. Our team has captured high-quality footage and is hard at work editing and raising funds to complete THE COVERUP. We were one of six teams chosen out of 282 applicants for the Redford Center Grants and were flown to Sundance, Utah to receive mentorship and support of our film. In 2017 we made a short film about sunscreen pollution called “Reefs At Risk” which premiered at the Hawaii International Film Festival and was shared with legislators to encourage a ban on oxybenzone in the state of Hawaii. The film has since been seen by over a million people online and at film festivals and screenings around the world. To watch Reefs at Risk, download our reef safe sunscreen guide, and donate to help further our outreach go here.